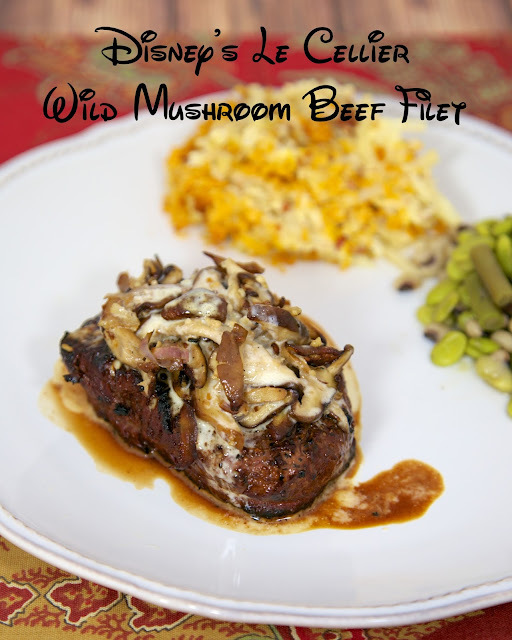 Disney's Le Cellier Wild Mushroom Beef Filet - recipe straight from Walt Disney World. Seriously the BEST steak we've ever eaten!!! SO tender and juicy and packed FULL of amazing flavor! Filets, olive oil, shallot, white wine, heavy cream, butter, truffle oil, lemon, mushrooms, garlic, salt and pepper. Better than any restaurant! This is another recipe from the Epcot Food and Wine Festival we attended back in October. We both loved this recipe at the festival and were excited to finally make it at home. The original recipe prepares the steaks in a skillet. We decided to grill the steaks instead. Chicken Legs love to grill, plus it is less work for me! 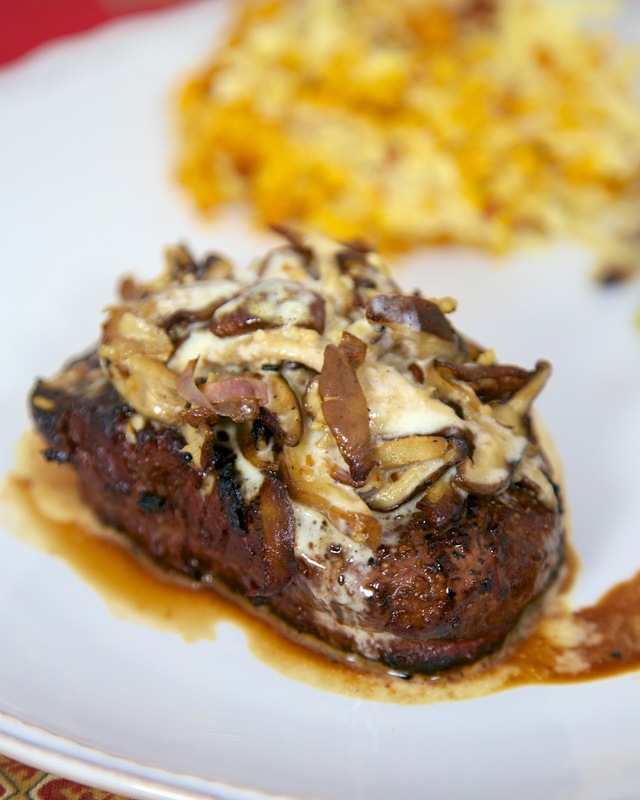 If you prefer to prepare the steaks on the stovetop, check out my recipe for Perfect Steakhouse Filets. This was fantastic! I wanted to lick my plate! This takes a bit of time, but it is totally worth it. I loved every bite! This was my first time making a beurre blanc sauce, and it was much easier than I expected. It was mostly just waiting on it to reduce. The mushrooms were mostly hands off as well. You just roast them and then give them a quick sauté in the pan. This tasted just as good as the version we ate at the festival. We are dying to go back now! Toss mushrooms, shallots and garlic in olive oil. Place on baking sheet and bake for 20 minutes. Remove from heat and whisk in butter, a few pieces at a time. Whisk in truffle oil. Stir in lemon juice, salt and pepper to taste. Keep warm until ready to serve. Grill steaks until desired temperature. We prefer medium rare. If you want to cook the steak on the stove top, follow this recipe for Perfect Steakhouse Filets. Place steak on plate. Top with mushroom and drizzle with about 2 tablespoons of beurre blanc. This looks awesome! I love your site! Tried the 7up biscuits last night for a family dinner and they were gone in a flash!! Any ideas to sub for the truffle oil?